Which Cricket Team will win ICC Cricket World Cup 2015? All 14 teams are geared up for the biggest event in cricket when they meet in the Cricket World Cup 2015 jointly hosted by New Zealand and Australia. Teams are grouped with 7 teams each in Pool A and Pool B. The question is who really do you think will win this World Cup in 2015. It’s all right to favor your country team but we expect fair voting where you only vote to the team who you truy think have got all what it takes to win the mega title. Here are the top international teams we believe can make an impact and win the World Cup Trophy. While we have some hot favorites, we still included all teams in the poll so that you can vote. 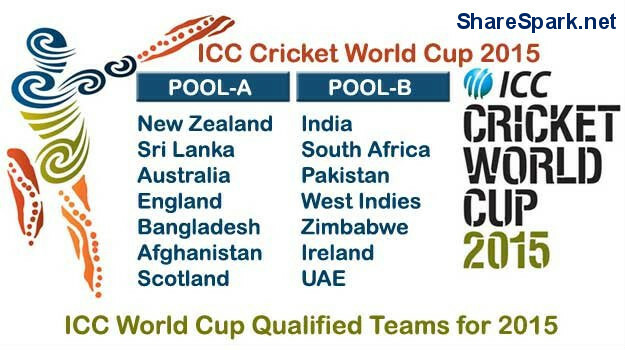 Re: Which Cricket Team will win ICC Cricket World Cup 2015? Are you using Internet explorer??? Page created in 2.78 seconds with 40 queries.